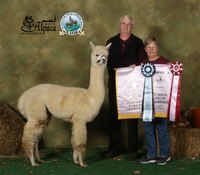 We are proud to announce that we now are partners in A and A and MFI Quixotic with Chuck Pesson, Acadiana Alpaca Farm in Rydal, Georgia! Quixotic will be in Ohio June through November and in Georgia from December through May! AJA 0F THE FINGER LAKES is a really impressive young herdsire. 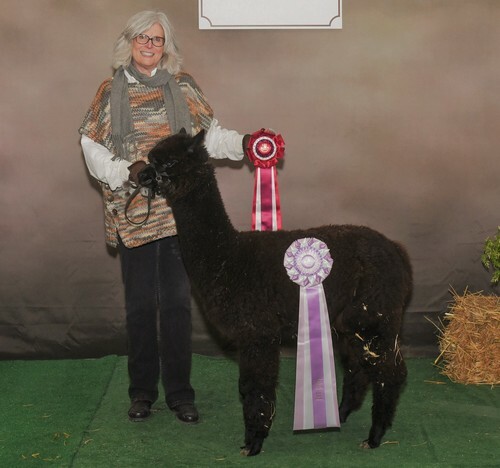 His genetics include A and A & MFI Quixotic (WOW), MFI Jericho, Peruvian, MFI Peruvian Formula 1, Dom Timbo, Royal Fawn and Peruvian Leon. 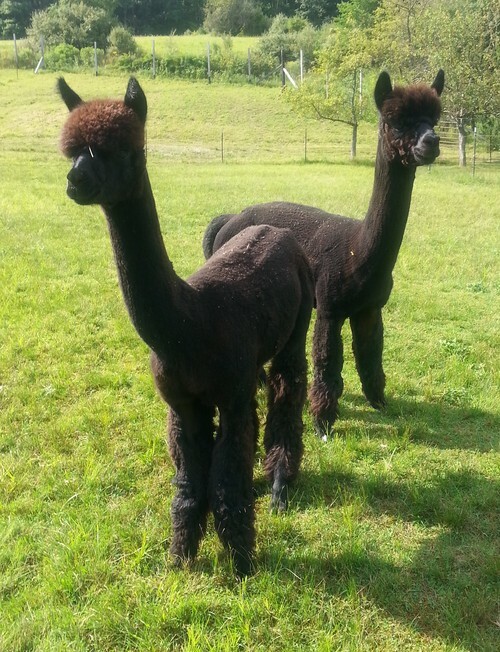 His TRUE BLACK fleece is soft to the hand, very crimpy and has excellent staple length. His conformation is very correct. AJA WILL BE READY TO START HIS BREEIDNG CAREER THIS SPRING!